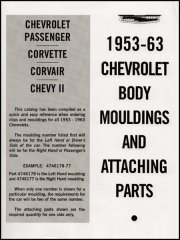 A quick and easy way to reference all clips and moldings for 1953-1963 Corvettes. 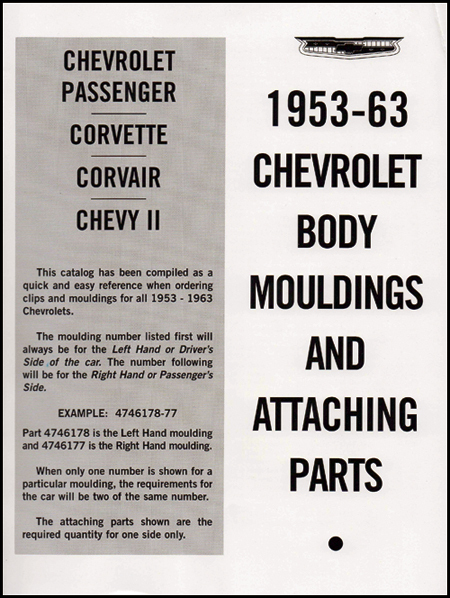 Originally compiled as a quick and easy reference when ordering clips and mouldings for all 1953-1963 Chevrolets. Softbound with 132 pages and many photos.